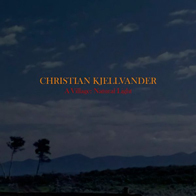 Christian Kjellvander has created quite a body of work. He’s acquired the aura and weight of a performer that has a catalogue that is to be admired. In short, he’s earned respect. He’s also honed and refined his craft and here again his dark narratives (somewhere between Tindersticks, Richard Buckner and latter period Nick Cave) drip with atmosphere as he controls every nuance to wring out maximum impact from the songs. Like Scandinavian Noir fiction, the songs are built not on the mis-en-scene, more the surface works atop a solid base. There’s nothing flashy, no aural equivalents of car chases or shoot-outs, more a painstaking procedural, the excavation of a crime and the sociological reasons for its happening. That may make it sound rather dry but what it really means is that the songs are solidly constructed with a narrative logic and a depth. ‘Good Child’ is a fine example. It starts by setting the scene, painting in the narrative details, sketching in the background, the bass and piano interacting, becoming the main characters in the drama, the voice narrating. It’s a patient approach allowing the songs to establish their own logic, exploring the song and the possibilities that it holds. Of course it helps that the song and delivery are utterly compelling. ‘Shallow Sea’ starts slo-core (something like June of ’44). CK’s voice enters, deep and resonant and takes charge, the skeletal piano and sparse guitar filling in some detail above an ever-present background rumble. When it hits the jam, there are backing vocals and a guitar solo as urgent as a sloth’s yoga music which transitions the song towards an ever forceful conclusion. ‘Dark Ain’t That Dark’ is a title worthy of Jason Molina and Kjellvander is doing as good a job as anyone to claim that ground. I find ‘Midsummer (Red Dance)’ less successful, with its pulsing bassline and Bon Iverish (see latest record) vocal distortion – it doesn’t convince me. There are plenty of things that do convince. ‘Midsummer’ is the only mis-step, ‘Riders in the Rain’ has a lovely melody and layers of atmospherics and ‘Always with the Horses’ is another highlight almost reaching the equine based song heights of Bill Callahan. It’s dark, full of nuance and full of interest. A wonderful way to spend a cold dark evening.